World governing body WBSC and its partners will reveal a series of exciting announcements on the launching of the new WBSC Premier 12 Pro Baseball National Team World Championship, including a secret Grand Opening location, naming of host cities, presentation/video animation to unveil the Official WBSC Premier 12 Logo and outlining of November 2015 tournament dates. The high-ranking officials will also discuss the importance and positioning of the new quadrennial flagship event atop the WBSC international baseball tournament hierarchy – particularly as it relates to further showcasing the global game, and to supporting the supreme aim of returning baseball, in partnership with softball, to the Olympic Games – what would become the highest platform for National Baseball and Softball Teams. 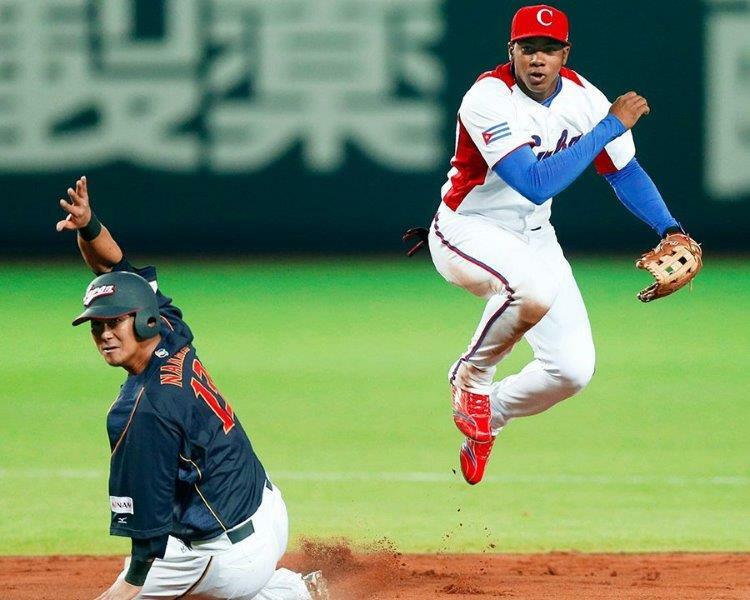 Officials will outline how the rolling out of the new WBSC elite baseball event could potentially serve as a direct qualifier for and promoter of the Olympic Games. The WBSC Premier 12 tournament format and the unique qualification process that unites the Top 12 National Baseball Teams in the world will be analysed and discussed in greater detail. Announcements to be made in Tokyo and Taipei City follow the historic Olympic Agenda 2020 reforms that have opened the possibility of new sport events, like baseball/softball – Japan’s No. 1 spectator sport – to bring added excitement to the Tokyo 2020 Games. About WBSC Premier 12: The WBSC Premier 12 has been designed to be a compact event (9 days of competition) that features the Top 12-ranked National Teams in the world. The WBSC Premier 12 platform will distribute US$ millions in prize money and will award the highest amount of world ranking points of any international tournament. The WBSC Premier 12 will give each of the 12 qualified nation's best players the opportunity -- and the highest honour -- to represent/promote their countries in international play and showcase the sport of baseball to a global audience. All WBSC's baseball world championship platforms -- from the U12, U15, U18 and U21 Baseball World Cups to the 2013 World Baseball Classic and sanctioned/recognised international competitions -- have shaped the rankings and qualification into the 2015 WBSC Premier 12. The Top 12 nations qualified into the 2015 WBSC Premier 12 are based on the 2014 end-of-the-year WBSC World Baseball Rankings. For the WBSC Premier 12 information sheet, click here. Copyright © 2014 WBSC. All rights reserved.